The Importance of Changing Places in the Workplace: The Changing Places campaign continues to go from strength to strength, with more public venues understanding the importance of installing fully accessible toilets. 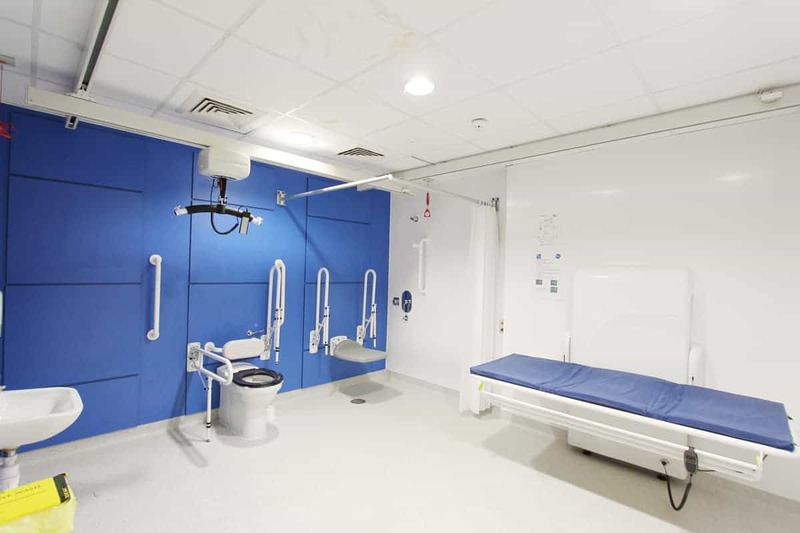 This year alone, the government has released £2 million of funding for motorway service stations to install Changing Places toilets, and another £2 million has been set aside to install these facilities in over 100 hospitals in the UK. Legislation is under review for all new, large publicly accessible buildings to include Changing Places toilets, which could change the Changing Places landscape as we know it. But despite the fantastic progress which has been made so far, toilet access is still an issue in day to day life. Aveso were lucky enough to spend the day with Ross Hovey – an Accessibility Manager for a major bank & Changing Places user. He wanted to show us the daily struggle he faces getting to and at work with a lack of accessible toilet facilities. We followed Ross across London to see his experience first hand. Ross was born with Spinal Muscular Atrophy, a genetic muscle wasting disease, diagnosed at the age of two. He told of us his life leading up to leaving University and looking for suitable employment. Like many ambitious graduates, he was keen to find a large organisation to work for with plenty of career progression opportunities. He also understood that not all employees could accommodate his disability. Ross was offered a job with a large banking organisation, based in the City, London – perhaps the answer to all his dreams, but the start of more practical issues. Ross, keen not to be a burden on society, gained a degree, sought full-time employment and is keen to be treated as any other employee at work without making demands or expecting special considerations. However, like everyone else, he does need to go to the toilet. Ross has a support worker to assist him to take a toilet break, but they require the space and equipment that a Changing Places Toilet offers – the closest being 35 minutes from his workplace. Ross found his own coping mechanism and held off drinking fluids so that he could last all day without needing a toilet. He also took more extreme measures to control his bowel movements. Unfortunately, as a consequence of his coping mechanism, Ross was diagnosed with 7 kidney stones. As Ross very eloquently describes, the solution is simple. Is it right to expect anyone to travel 35 minutes+ from their workplace for a toilet break? Collaboratively, is there more that employers could be doing to offer the facilities that their employees need? Should large organisations or business parks not consider including a Changing Places Toilet? Could a number of organisations share the cost of a Changing Place Toilet to collectively offer the facilities? Ross and other employees like him are not asking for the world. Simply asking employers to the importance of Changing Places in the Workplace, by providing facilities within a reasonable distance that are needed to give their employees the basic right of access to a toilet that they can use.